Full Agenda and Speakers Announced for 2017 U.S. Product Stewardship Forum! Last week, the Product Stewardship Institute (PSI) announced its full conference agenda -- complete with all speakers -- for this year's Forum, coming up on July 25-26 at the historic Omni Parker House Hotel in Boston, Massachusetts. The 2017 event will highlight current product stewardship trends in the U.S., focusing on packaging, pharmaceuticals, paint, electronics, household hazardous waste, and other priority products. In PSI-style, each session will be highly participatory, designed for multi-stakeholder discussion of cutting-edge topics. Worldwide leaders will assess the successes and challenges of extended producer responsibility programs and provide the context needed to help us advance the product stewardship movement in the U.S.
Register now -- either to attend in-person or remotely -- to claim your spot at the conference! Sponsorship opportunities are still available. The President Pro-Tempore of the Connecticut Senate recently appointed PSI's Scott Cassel to the Task Force to Study Methods for Reducing Consumer Packaging that Generates Solid Waste. This group of industry, government, and non-profit leaders will examine extended producer responsibility as a strategy among others for increasing packaging recycling in Connecticut. The Task Force was established by a 2016 law intended to help in "achieving a reduction of not less than twenty-five per cent of consumer packaging in the state's solid waste stream on and after January 1, 2024, and decreasing municipal costs associated with managing such waste stream." In this webinar, Helen Lewis, renowned researcher and author, examined how businesses can achieve a competitive advantage by establishing product stewardship programs -- particularly if they are developed strategically, in tandem with corporate goals, and in consultation with a wide range of stakeholders. 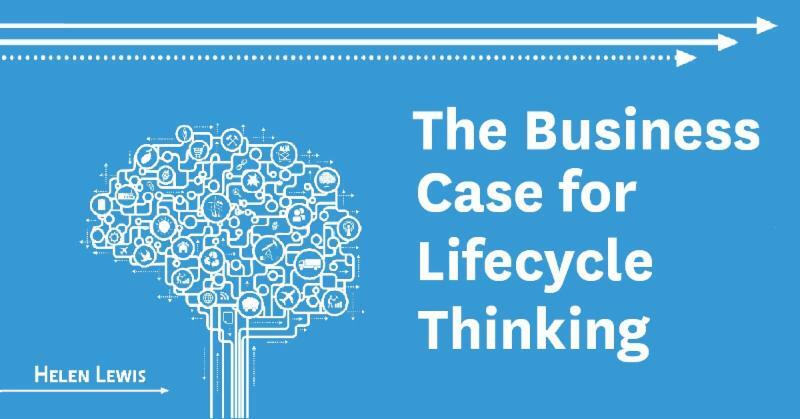 Three North American business leaders offered case studies describing how they manage post-consumer products, and how these systems benefit consumers, government, and industry alike. Your $60 registration grants you access to the webinar recording and slides, a free copy of Helen Lewis's e-book, and a coupon to buy the paperback for $25. Download today on the PSI website. Join representatives from the Product Stewardship Institute, Razooks Pharmacy, Oklahoma State University Cooperative Extension Service, and the Nebraska MEDs Coalition to discuss best practices for creating and running drug take-back programs, particularly in rural areas with limited access. On this webinar, expert speakers will discuss the best outreach strategies for promoting drug take-back, how stakeholders can work together to create successful programs, and how different communities fund safe drug disposal. Register for this free webinar today. In this technology-driven era, publishers continue to manufacture printed phone books and drop millions of unwanted directories on American doorsteps. Each year, producers use an estimated 4.7 million trees worth of wood fiber -- or 14 football fields' worth of forest per day -- to manufacture these directories. 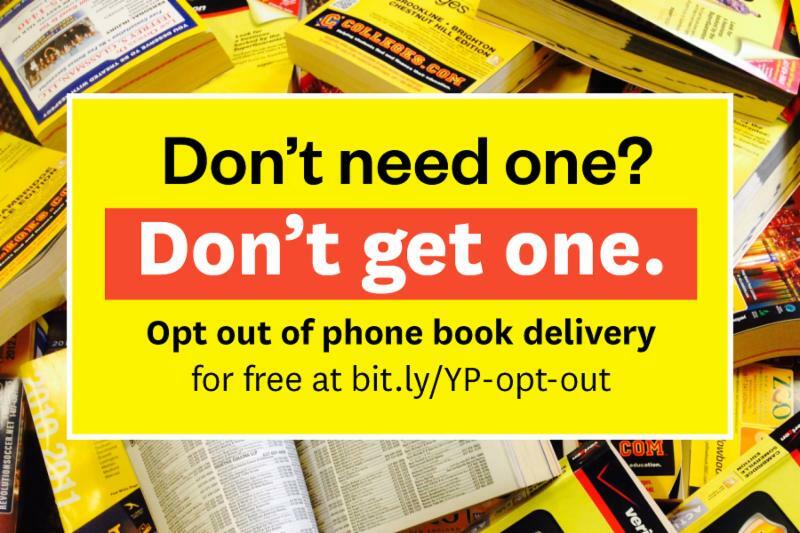 Phone books are also a burden on local governments, which pay nearly $60 million annually to recycle or dispose of them. The Product Stewardship Institute recently added new outreach tools to its Phone Book Opt-Out Toolkit, a resource that makes promoting opt-out as easy as copy-and-paste for government officials and organizations. New materials include utility bill stuffers, sample public service announcement language, social media campaign graphics, infographics, and an animated video. Thrifty Pharmacy in Oklahoma City recently joined four pharmacies in Oklahoma collecting leftover pharmaceuticals from households through a drug take-back pilot program. Designed and implemented by the Product Stewardship Institute (PSI) and the Oklahoma Department of Environmental Quality, the program offers Oklahoma residents convenient, consistent disposal options for their unwanted medications -- a key part of a comprehensive strategy to reduce the public health and environmental impacts of leftover drugs. Please contact PSI's Vivian Fuhrman at (617) 236-4771 with questions. 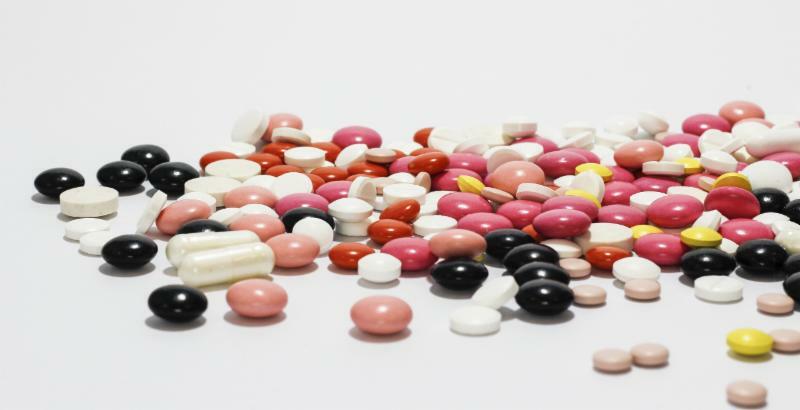 Creating safe and effective ways to collect unwanted medications is an important step to decreasing the public health and environmental impacts of leftover drugs. 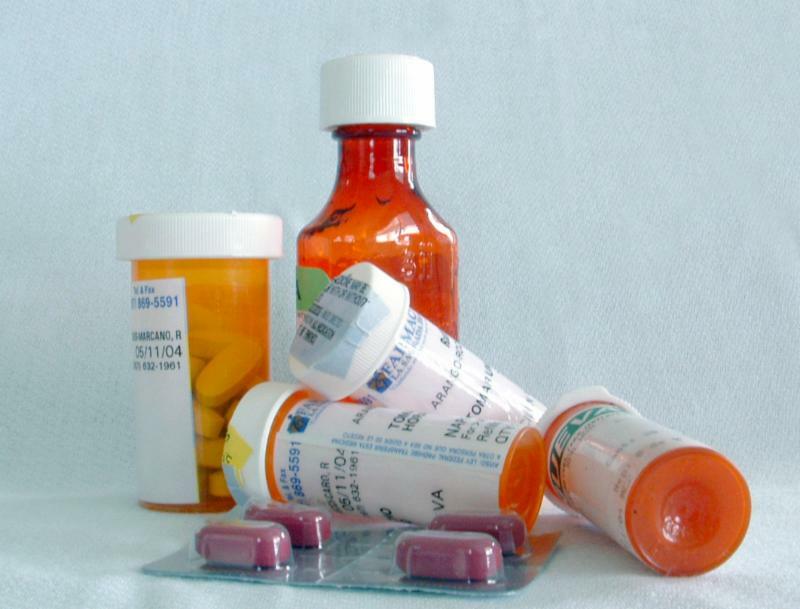 PSI and its members advocate for drug take-back -- collection receptacles and mail-back envelopes -- as the most effective way to dispose of unwanted medications. See PSI's recently redesigned fact sheet for more details. In that vein, PSI partner, American Security Cabinets, now offers a new end-to-end collection solution with their cabinets, new liner system, and partners to handle disposal of medication. Visit RXDrugDrops.com for more info. The concept of extended producer responsibility (EPR) originated in Germany in 1991 and quickly spread across Europe and Asia -- but has met firm industry opposition in the United States. Learn more about the successes, challenges, and solutions to improve EPR in the U.S. in a new University of Pennsylvania's Knowledge@Wharton article, which features information from a presentation by the Product Stewardship Institute's Scott Cassel. PSI's pharmaceuticals lead, Vivian Fuhrman, spoke recently on safe drug disposal at the National Rx Drug Abuse and Heroin Summit in Atlanta. Vivian's co-presenter, Diane Loftus (Director of Pharmacy, Lewis County General Hospital) discussed her experience as a participant in the successful 2016 drug take-back pilot conducted by PSI and the New York Product Stewardship Council at five pharmacies in rural New York. Vivian and Diane spoke to a packed room of pharmacists, local organizations, healthcare professionals, companies, government representatives, and others interested in learning more about drug-take back. 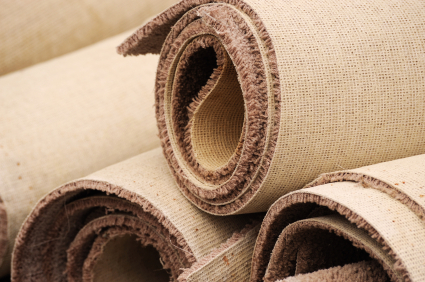 In an April 18th public meeting, CalRecycle's director, Scott Smithline, rejected CARE's 2017-2021 Stewardship Plan submitted in February, stating that it failed to comply with the state's carpet stewardship law. This comes after CalRecycle rejected CARE's original 2017 plan submitted back in December. On top of this, CalRecycle filed an accusation document against CARE in March imposing almost $3.3 million in fines due to CARE's failure to show continuous improvement in carpet recycling throughout the 2013-2015 program years. Despite several violation and stop sale notices, three Vermont Walgreens stores continued to sell Walgreens brand batteries without submitting a stewardship plan to the Vermont Department of Natural Resources, as is required by state law. The Vermont Superior Court's Final Order issues a $20,000 fine and requires Walgreens to discontinue the sale of batteries without an approved stewardship plan. Last month, the California Department of Resources Recycling Recovery (CalRecycle) convened a multi-stakeholder group to discuss ways to increase packaging recovery, including extended producer responsibility (EPR), which would involve producers in managing packaging at the end of its useful life. Panelists debated the potential benefits and drawbacks of an EPR approach, as well as alternative methods ranging from product bans to incentives for recyclable packaging design. This stakeholder process is a step towards achieving CalRecycle's goal of 75 percent recycling, composting, or source reduction of solid waste by 2020. Join over 650 professionals in product stewardship and extended producer responsibility on September 27-29, 2017 at the Conference on Canadian Stewardship in Quebec. This year's conference, co-hosted with Èco Entreprises Quèbec, will include key business and government speakers who will discuss the circular economy, share key updates in Canadian product stewardship programs, and touch on the changing trend of stewardship in Asia and in other countries around the world. A short program, registration, and sponsorship opportunities are now available on the conference website. For those who have not attended before, this is always a fantastic event. 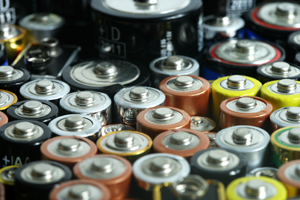 Call2Recycle, the battery industry's stewardship organization, recently announced changes to their program to increase all-battery collection and recycling nationwide. Before the changes, Call2Recycle collected only rechargeable household batteries -- at no cost -- from municipal and retail locations, but did not collect primary batteries. Now, Call2Recycle will offer municipalities and retailers the option to purchase a box in which they can collect all household battery types -- primary included. Learn more about the program here. As older solar technologies are now reaching the end of their useful life, homeowners, businesses, and others are searching for ways to safely dispose of their spent solar panels. Washington and New York recently became the first states to introduce EPR legislation for this product. The new bills require manufacturers to finance the collection, management, and recycling of spent solar modules and components. When shoppers enter the world's first mall consisting of only recycled and upcycled goods, they drop unwanted items at the recycling depot and then head toward the shops to find something (sort of) new. Recycling depot staff hand all repairable discards to workshops for renovation and resale within the mall. In addition to creating 50 new jobs, this circular retail model lifts the burden of disposal from local government, creates economic opportunities for small businesses, and gives new life to old materials. The return rate in Oregon's Bottle Bill program has declined in recent years. In an attempt to reinvigorate the program, Oregon recently doubled the payout for used soda cans and glass bottles. Residents reportedly stockpiled their bottles and cans for months in preparation for the payout increase. Although the long-term effects remain to be seen, deposits tripled during the first weekend with the higher payout.